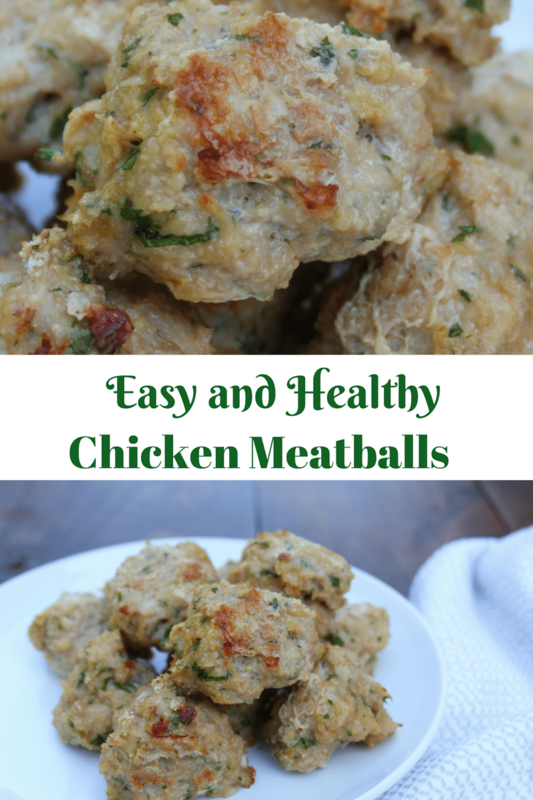 Healthy chicken meatballs are guilt free. Baked and stores great in the freezer. Make a big batch today! On lazy weekends, I love making a large batch of meatballs. Am I alone? They store great in the freezer! Use them in sauce or make a meatball sub! I don’t measure my ingredients; I probably should so I can write them down and share, but I eyeball everything and add more ingredients as needed. Until I write my exact measurements down, I’ll share my tips. This is the same recipe I use for ground beef meatballs. Form 1.5 inch meatballs and place on sprayed baking sheet. Bake for 15 minutes, turn over, and bake for another 10 minutes. Monday– Roasted lemon chicken with orzo and green beans. The recipe calls for asparagus, but I had green beans in my fridge so I substituted them. I usually boil green beans, but sauteing them gave them a nice crispy taste. Tuesday– Chicken enchilada. Happpy Cindo da Mayo! I’ll admit I’ve never made enchiladas before, but they sound easy enough! Wednesday– Spaghetti and meatballs with a spinach salad. Good ol’ reliable pasta and meatballs. You can never go wrong with this. 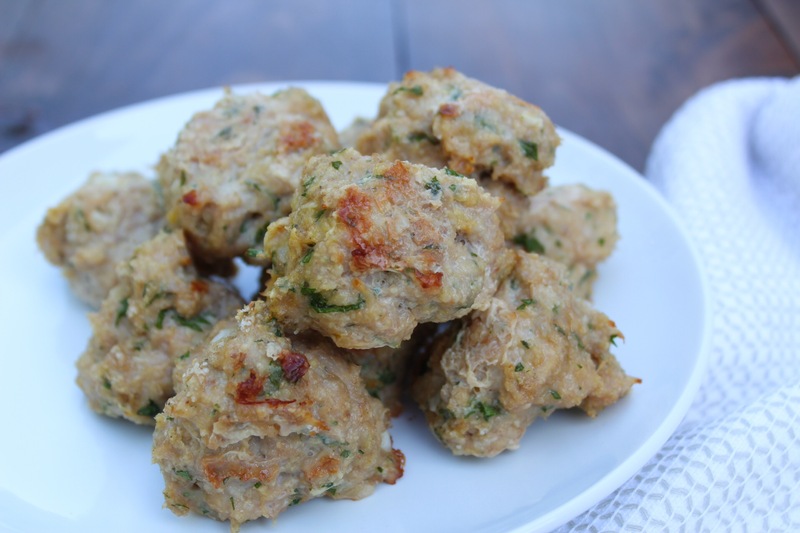 Recipes for the meatballs and homemade sacue can be found here! Thursday–Kale salad with cranberry vinaigrette with grilled salmon. This salad is light and refreshing and tastes great with the sauteed shallots and garlic. 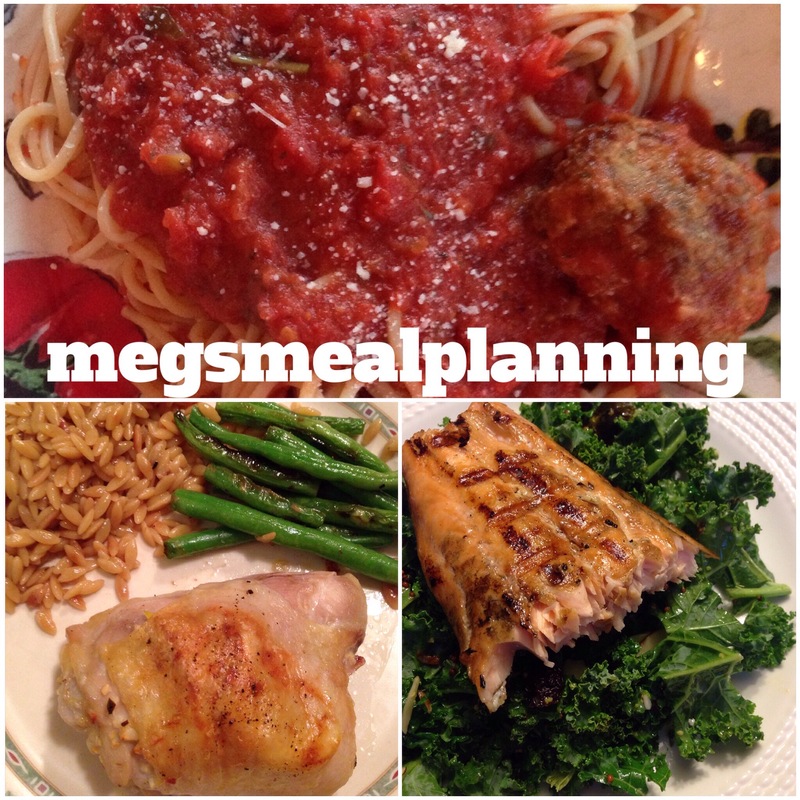 I especially love it after eating a big bowl…or two of pasta the night before! And it makes a great lunch the next day. For more protein I’m topping it with grilled salmon. Friday– Meatball grinders. Using the left over meatballs from eariler in the week to make this super easy Friday night meal. To make, I first heat up sauce and meatballs in the mircowave. Then slice the meatballs in half and lay on grinder roll, top with sauce and then shredded mozzerella cheese. Wrap in tin foil and place on cookie sheet. Broil in the oven for 15 mins.